Living a Fit and Full Life: Twinkle Play Tents are a Huge Hit with Kids! Twinkle Play Tents are a huge hit with kids! My daughter absolutely loves all things princess so when she saw this beautiful Princess Palace from Twinkle Play Tents she was in love. We had the entire thing set up in less than ten minutes and boy oh boy was she excited when she realized it had lights on it. She quickly took in a pillow and blanket and decided she wanted to read a book. Since then, she does just about everything in her Princess Palace from Twinkle Play Tents to having a picnic, playing dolls or dress up and so much more. It's such a fun space just for her that she absolutely adores. 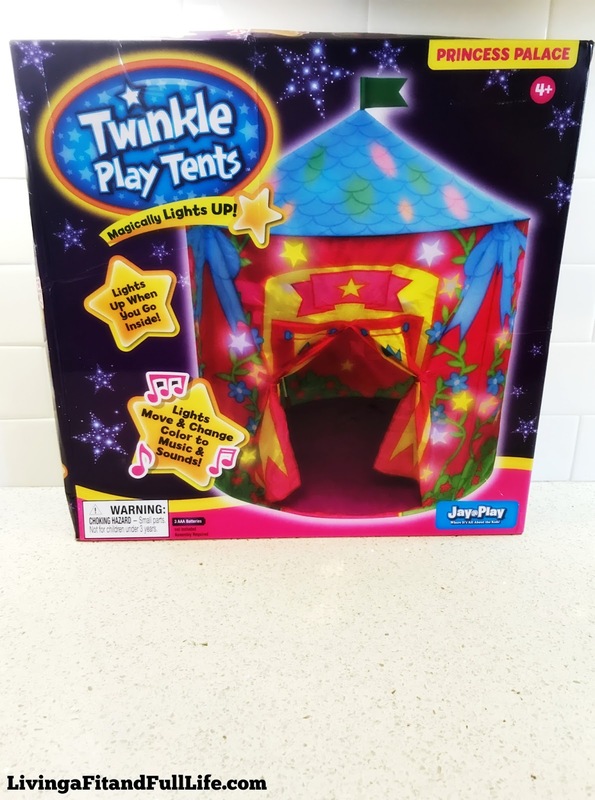 Twinkle Play Tents are incredibly fun and kids will surely love them! Click HERE to learn more about Twinkle Play Tents!